Audio Tours have become great intellectual accessories to the dedicated traveler. You can get MP3 or iPod tour downloads for almost every museum and city in the world. Many places have their own dedicated systems for rent for a nominal fee. All you need to find them is to Google "Audio Tours" or "Audio Guides" plus the name of museum or city desired. They are also available on links found on line, in guide books or in brochures. The quality is can be a bit varied, but normally they are quite good. It is a better bet to check with the museum or the city themselves on line. Or when you get to the location, ask for the audio tour. These tours are specially written by the staff especially for their museum or municipality. It is a labor of love. Sometimes you have a variety of tours to choose from. They can be specially adapted to specific subjects or areas. Other times there are Tours for special exhibitions. These are great. It gives a step by step introduction to the museum or location. Its covers the main details on the exhibits you are looking at, all in an orderly manner. It provides specialized information such as history and background. You can go into more details on a certain subject. You can pick and choose among many topics at your convenience. Most importantly, it LIMITS the information you get and focuses you on the main stuff. 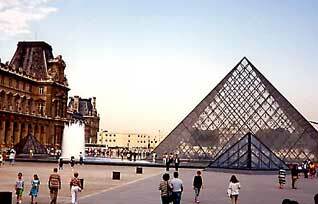 This is a blessing when visiting such mammoth museums as the Louvre in Paris, France; the Smithsonian in Washington, DC; or the Tate Museum in London, England. You get to experience the place without drowning in the ocean of information available. Audio Guides make the museum and city visit fantastic.